Many small pets require a good physical workout. Lee’s® offers the most complete line of small animal exercise balls to satisfy the needs of most small animals from dwarf hamsters to ferrets and chinchillas. 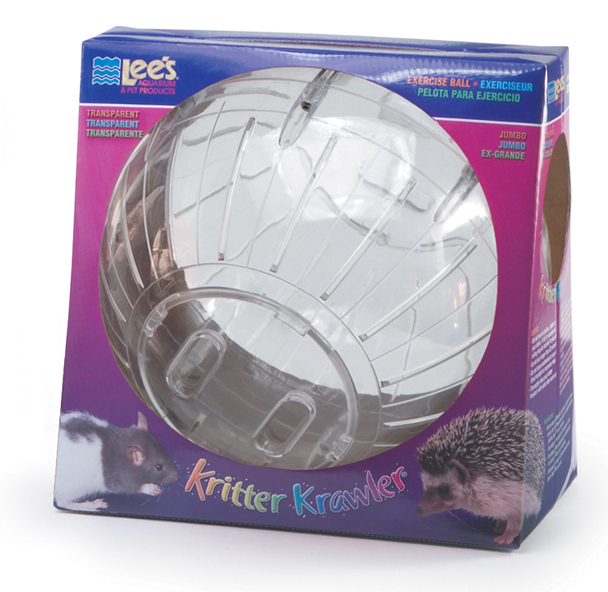 Kritter Krawlers® and Komet Krawlers® allow pets the freedom to roam while being safely confined and they quickly learn to maneuver around common household obstacles with ease.